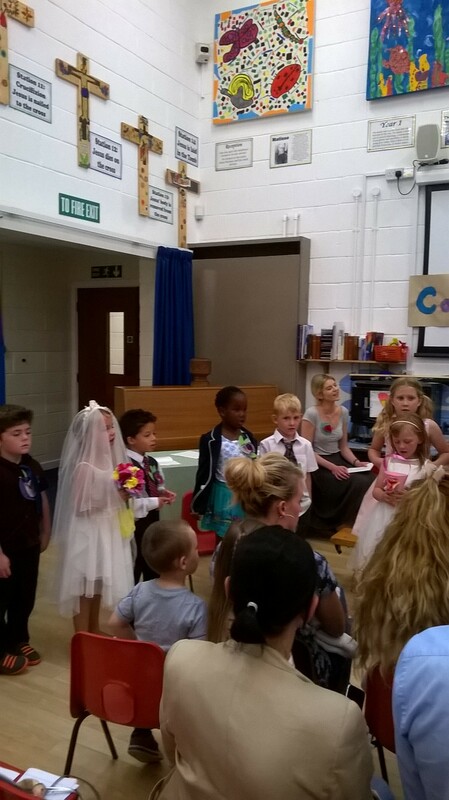 Miss Jones (Y1) is heavy into teaching her children about Christian Marriage. Good for her.She is also insistent that I help her with the wedding preparation and the service. 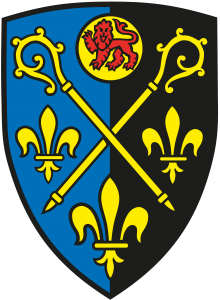 So, without prejudice, the teaching of the Church in Wales is that it is a sacramental relationship between a man and a woman, for lifetime and to the exclusion of all others. The preparation was real good fun and good teaching and the bride and groom told me that they really did love one another and were even willing to try a practise kiss – awww. They had to tell me what their jobs were and where they lived. They said they were both rich and were willing to share everything but when they discovered the cost of a real wedding in church they found they were maybe not as rich as they thought. So in generosity and for the school I decided to make it free. This brought a mighty sigh of relief. Mind you I think they’d been hedging their bets as they had found their own Vicar! After the lesson it was next door to Mrs Thomas (nee Miss Fry) and Reception. Why? Before Easter Mrs Thomas and Mrs Bate had brought some potatoe seeds from Reception and hugs from themselves. 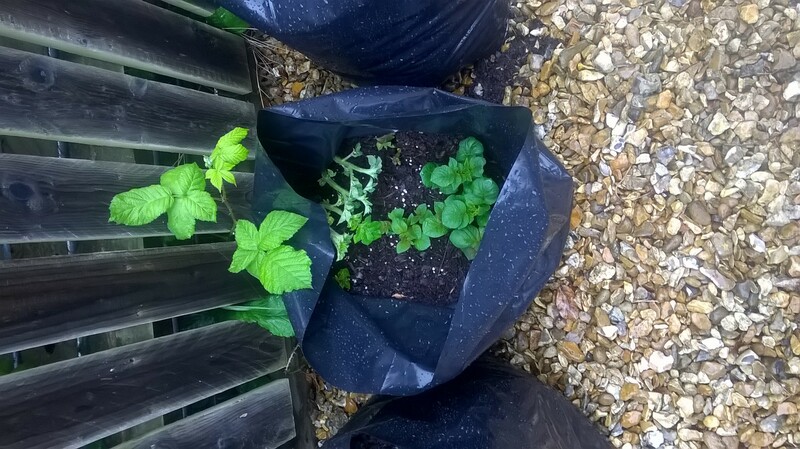 That week I harvested the first bag and made leek and potatoe soup . Mrs Thomas did the same with school potatoes and made leek and potatoe soup. We had a “soup off” and the two soups were judged by two Y6 learners and the HT and Mrs T said I had won. I think she was being very generous. Well back to the wedding. 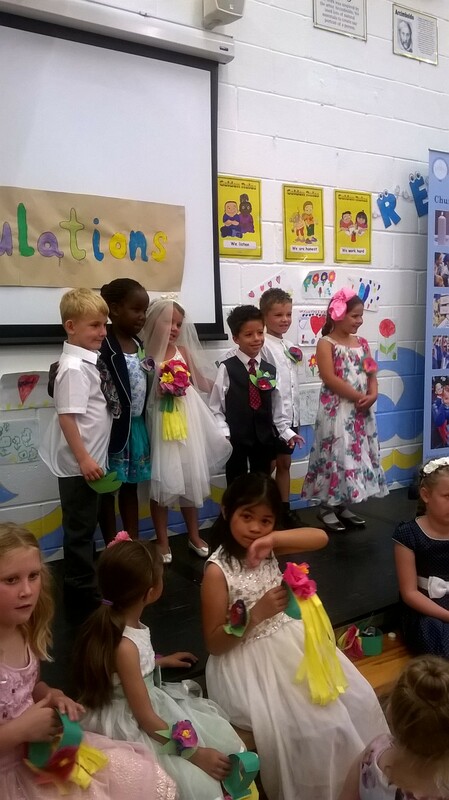 This took place on Weds July 19 in the school in front of very tearful parents and well dressed staff. 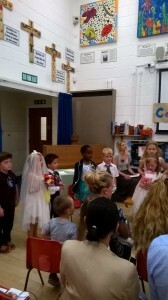 The children were fab-u-luss darling and everyone had a part to play. The Vicar thought I was useless and did it his own way. Oh yes we did have a kiss and confetti.